Below are four options for you to choose. As you make each selection from the drop-down menus, click on Add to Cart to put the item in your PayPal shopping cart. Then in the upper right corner of the cart, click Continue Shopping to select your next item. Once you have all the items you want in your cart, simply click View Cart to review your order and payout. Your receipt will be emailed to you. No printed tickets are required for this event, however tickets must be purchased in advance. 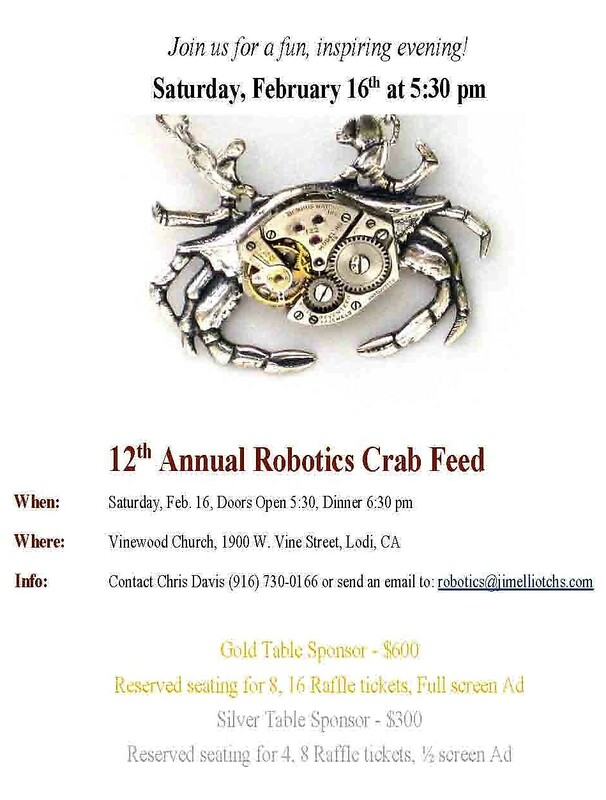 Want to support the students of Elliot Robotics, but can't make it to the dinner? Donate now!